Congo River Golf – 9 Florida Locations – 3 Locations in Orlando! 9 Florida Locations - 3 in Orlando! Play challenging miniature golf as you explore giant waterfalls and rocky summits, mysterious caves and tropical rainforests. Travel to a world of excitement and family fun with Congo River Golf, voted best miniature golf again and again. Visit the one of our 9 location today and experience the adventure! At Congo River Golf, adventure waits at every turn. Grab a pole and step right up to try a gator feeding experience like no other. Each location features an interactive gator exhibit with more than 25 live gators to feed and exclusive photo opportunities. It’s always an adventure at Congo River Golf! Ready for another adventure? 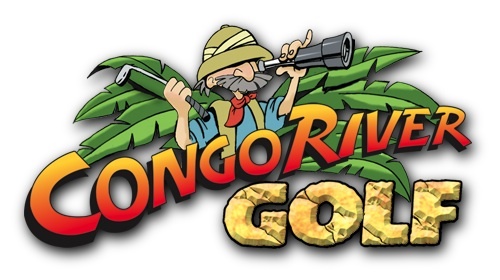 The unique Congo River Mining experience allows you to discover buried treasure. Gemstones, fossils, arrowheads and more are waiting for you. Grab a bag of mining materials and sift through it in the sluice. Be amazed as the dirt washes away and reveals gems and stones. You’re guaranteed to leave with one-of-a-kind finds. It’s more than a game…it’s an adventure! Before you begin your journey, pick up the Exploration Game at Safari Headquarters and get ready to experience a wild ride through the jungle. Follow in the footsteps of Henry Stanley and David Livingstone, famous African Congo explorers, and discover lost treasures from their travels. Find the artifacts and report back to Safari Headquarters for your Exploration Prize. Happy hunting! Most locations open Daily from 10 am to midnight. 9 Locations in Florida – 3 in the Orlando area!